President Uhuru Kenyatta has appointed 106 persons to government and State Parastatals. The job list was published in the June 6, 2018 gazette notice. Key among them include Raila Odinga’s closest confidants. Most of the appointees will serve as chairpersons of the board directors of different government companies,organizations and agencies. Find the complete list below. The above state parastatals appointments were made by president uhuru Kenyatta on June of 2018 in conjunction with relevant ministries. 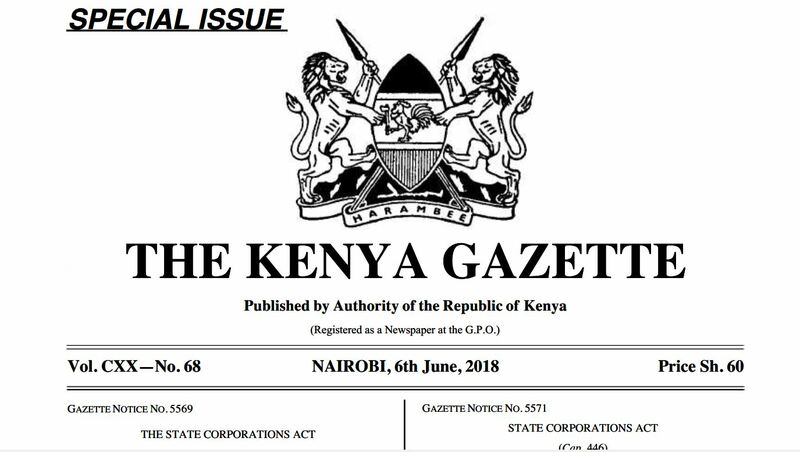 NOTE: Download Pdf of the gazette notice at Muthurwa Marketplace Downloads page.